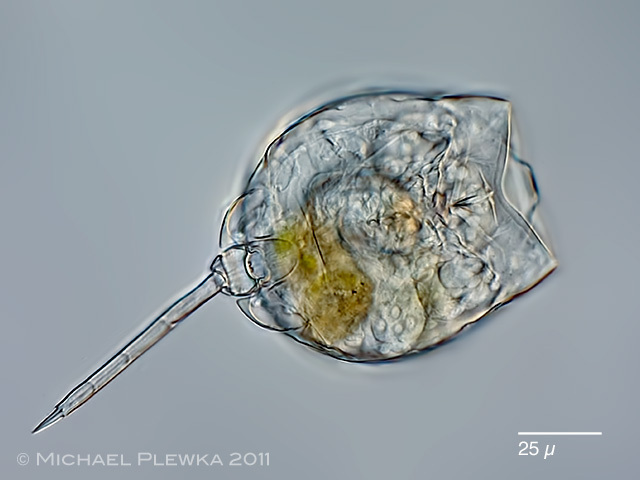 Rotifers of Germany and adjoining countries: Lecane lunaris Ehrenberg 1832 (Lecanidae/ Ploimida/ Monogononta/ Rotifera/ Syndermata. Lecane lunaris, dorsoventral view; in contrast to L. bulla the lorica is flatteded; no projections at the posterior part of the lorica. 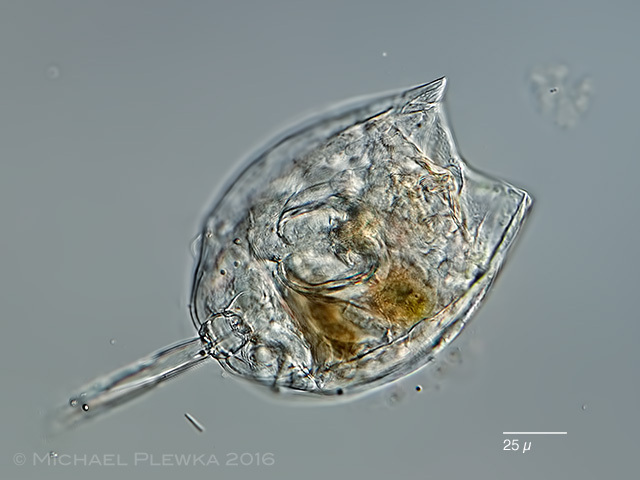 Lecane lunaris, closeup of the foot with totally fused toes and two small claws.